Maine State Police say they will hold a memorial service Tuesday for Detective Benjamin Campbell, who was killed when he was hit by a wheel that came off a logging truck on Interstate 95. 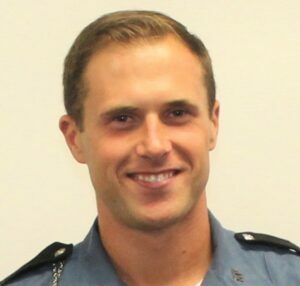 Maine State Police say they will hold a memorial service Tuesday in Portland for a state trooper who was struck and killed by one of two wheels that detached from a tractor-trailer on Interstate 95 in Hampden on Wednesday. The funeral announcement for Detective Benjamin Campbell comes as police continue to investigate how the wheels, weighing roughly 200 pounds apiece, came off a logging truck near the Cold Brook Road exit on I-95. 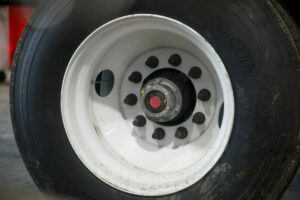 Such incidents are rare, said Kevin Rohlwing, senior vice president of training for the Tire Industry Association, but the actual number of so-called wheel separations that occur annually in the United States is unknown because they are difficult to track and no state or government agency keeps an authoritative count. But when wheels do detach, the results are often catastrophic. 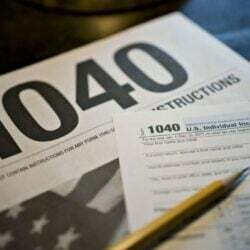 Last month, a college student standing outside a car at a highway rest stop in Gautier, Mississippi, was killed when two truck wheels slammed into her after they came off a truck and crossed a highway median. Wheel-related injuries have been documented for years in sporadic media reports, but no government agency tracks such incidents or their causes. Every day, millions of 18-wheelers cover hundreds of thousands of miles across the United States safely, he said. The number of detachments is unknown, however, and the causes of such failures also can be difficult to determine. Rohlwing said motorists should not worry about the potential of a truck wheel harming them – there are far more pressing risks, such as inattentive or distracted drivers, someone falling asleep at the wheel or drivers who are under the influence of drugs or alcohol. It has been more than two decades since a government agency examined the problem, and industry groups do not keep track of how many people are hurt or killed each year by wheel separations, making it difficult to gauge the scope of the problem. Campbell stopped about 7:30 a.m. Wednesday in the southbound breakdown lane near the Cold Brook Road exit in Hampden to assist a motorist who had spun 180 degrees and come to a stop in the shoulder facing opposite the direction of travel, according to state police and a preliminary crash report. Campbell was standing in the breakdown lane next to the vehicle’s driver door when two wheels detached from the passenger side of a logging trailer and became 200-pound projectiles likely traveling at least 60 mph. One ended up in the median, and the other veered toward the disabled vehicle, striking it with enough force to deploy its airbags before hitting Campbell. He sustained massive injuries and was pronounced dead at Eastern Maine Medical Center. 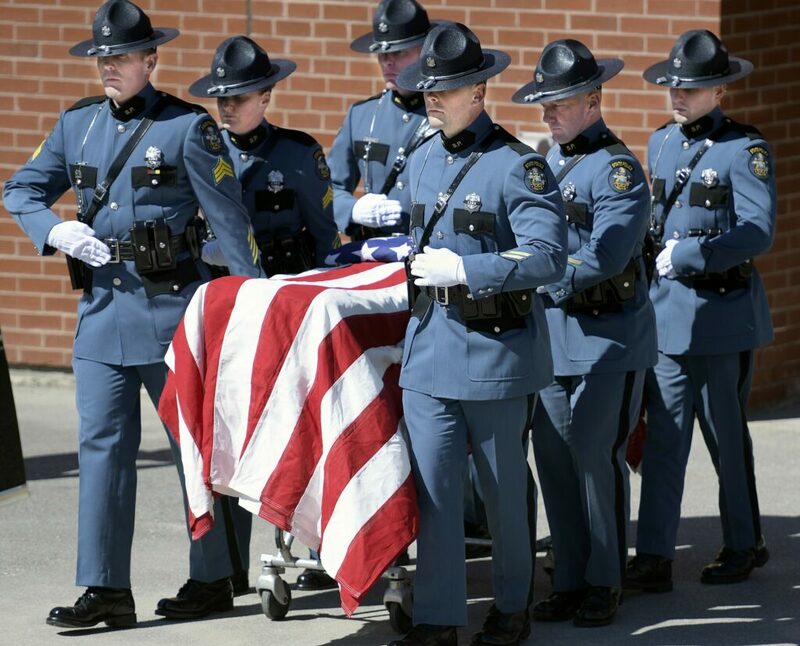 He is the first trooper to die in the line of duty since 1997. Maine State Police spokesman Steve McCausland said troopers with the commercial vehicle enforcement unit began a vehicle autopsy on the logging truck Thursday to determine what caused the wheels to separate, and will continue to work Friday to narrow down a cause. At the time of the crash, the truck was being driven by its owner, Scott V. Willett, 52, of Patten. The 2001 Kenworth tractor was pulling a loaded logging trailer. Willett stopped his truck after the incident and was interviewed by police after the crash. No one has been charged in the accident. 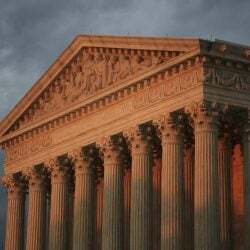 McCausland said that the trailer had three axles in the rear, each with two wheels on each side, for a total of 12 wheels and tires, and that the ones that separated came from the front passenger-side axle. Troopers will do a physical inspection of the truck and examine its maintenance history. The National Transportation Safety Board, which investigates serious transportation incidents and makes safety recommendations, last examined the issue of wheel separation in 1992, following a cluster of wheel-separation deaths around the nation the year before, and found that there was no definitive count of incidents nationwide, and that the separations can be caused by a litany of factors. In the small number of incidents the agency examined, wheel fasteners were cited as a frequent culprit. In most trucks, 10 lug nuts attach to threaded studs that are anchored in a hub. Inside the hub is a bearing that allows the wheel to spin. The hub, in turn, is attached the truck axle, which is anchored to the truck or trailer frame. But unlike small vehicles, tractor-trailers often stack two wheels against each other, a “dual” wheel that doubles the amount of rubber on the road and better distributes the massive loads trucks carry. In some configurations, each wheel has its own set of lug nuts, while other dual wheels have only one set. There is a third configuration that uses a system in which the wheel center is removable from the barrel of the wheel, and special clamps and bolts are used to hold everything together. 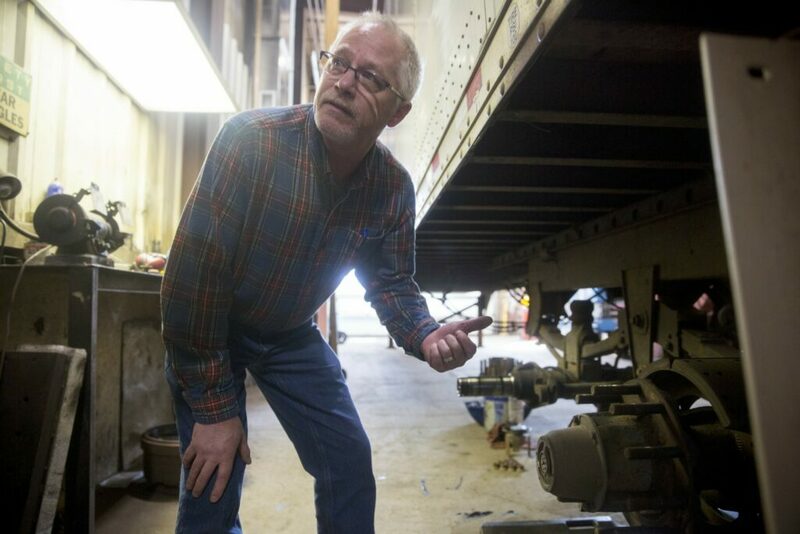 Bob Kuni, director of Parts and Service at Hale Trailer Brake and Wheel in Portland, said a customer’s trailer was recently brought into the shop missing two wheels because a bearing had failed, sending the dual wheel assembly, hub and brake drum, weighing nearly half a ton, sailing free. The driver did not know he was missing the wheels until another trucker radioed to tell him. Kuni said he trains his technicians to always be cognizant of the horrific consequences of forgetting to properly tighten a single lug nut. A simple distraction or a moment of inattention can be fatal, he said. The memorial service for Campbell will begin at 11 a.m. Tuesday at the Cross Insurance Arena in Portland.